It was based on two novels, the first book titled “In God we Trust, All Others Pay Cash”, but the real predecessor is “Red Rider Nails the Hammond Kid”. Both of them were authored by Jean Shepherd, who actually provides the narration in this film (as well as a little cameo as that guy in line saying “The line ends here, it begins there”.). These two stories were the bases for the film, while the task of directing was supplied by none other than Bob Clark. Previously, he directed a Christmas horror movie titled “Black Christmas”, so it’s no wonder he infuses this family film with a little bit of an edge, and no shortage of dark comedy. The film takes the axe to the common three act structure, and highlights the various experiences of one boy during the Christmas season. 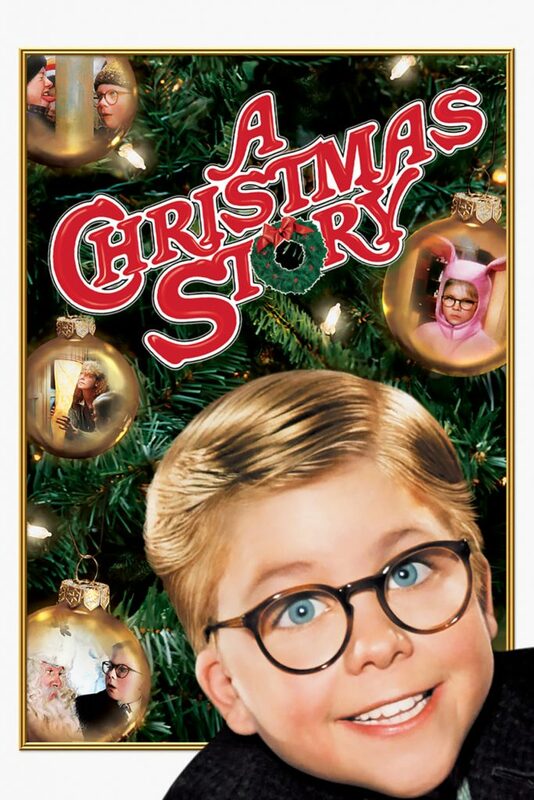 It doesn’t get any simpler than that, as the whole movie is basically the life and times of this boy spending Christmas with his family, the goofy situations he gets into, and truthfully, that’s all you really need to have a good film. 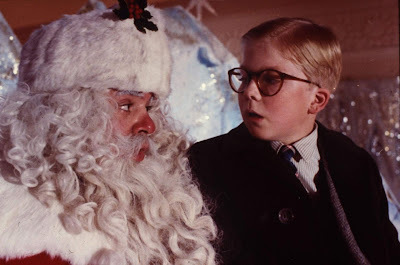 “A Christmas Story” was one of the first films that proved to me the magic of simply showing someone live their life at a certain time is almost more compelling than a laid-out story with a proper three act structure. Life is interesting, life is fool of conflicts, drama, comedy and genuineness. 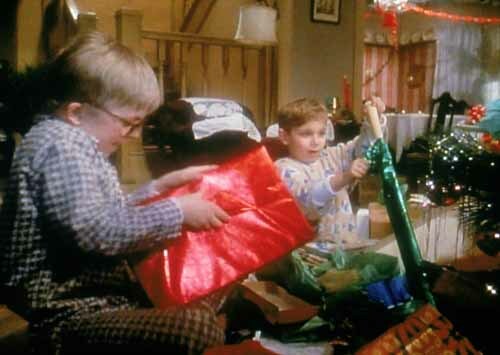 The thread that holds it all together is that our lead character named Ralphie is obsessed with getting a “Red Ryder BB Gun”, and he’s got several schemes in the works on how he’ll obtain it. 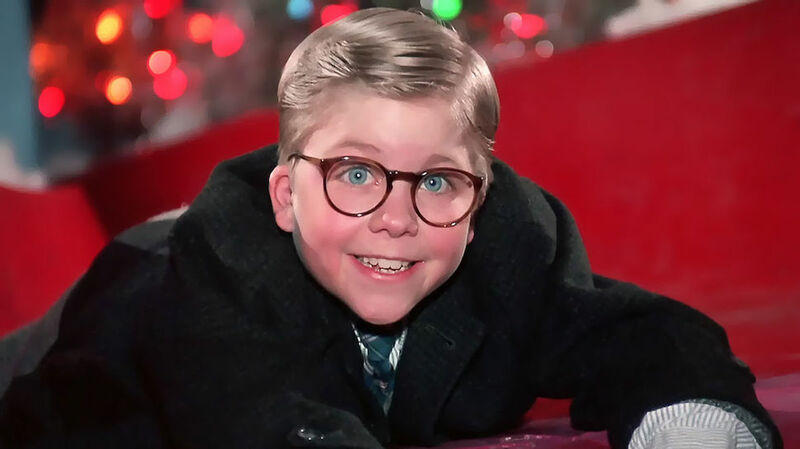 I really like Ralphie, as he doesn’t feel like a generic kid character, in fact he almost represents how most little kids are around Christmas, which is self-centered, impulsive, but also genuine, innocent and loving. All the emotions, dreams and actions seen in this character are brought to life very well by young actor Peter Billingsley. Interestingly, he would go on to be the executive producer of smash superhero blockbusters like “Iron Man”, and try his own hand contributing to another Christmas comedy titled “Four Christmases”. I especially love all his silly daydream sequences, which I think every kid fantasized about when in certain situations like getting in trouble with parents and so forth. Joining him are his brother Randy and occasionally his two best friends Flick and Schwartz. 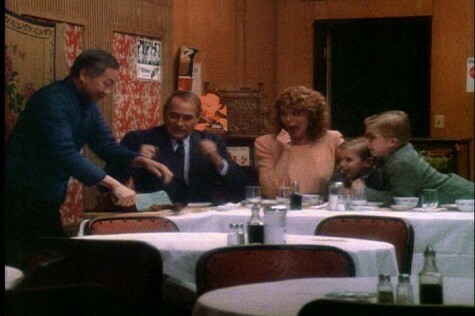 My absolute favorite characters who in my opinion completely steel the film are the two parents played by Melinda Dillon and Darren McGavin. These two goofs crack me up every time their on screen, and they both seem to be this serial combination of a dysfunctional, yet still loving couple. Actually, the family is very wholesome in just how real they feel. They have their heated moments with one another, but the love and feelings still remain regardless. 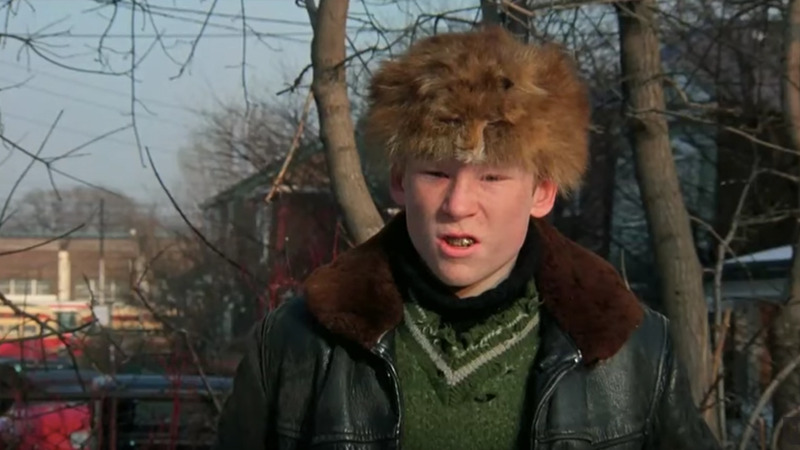 Enter Scut Farkus, a yellow eyed bully character who likewise owns every scene he’s in. Despite being a one-note bully, he’s an unformattable addition to the film, as he’s all for show, and has no real guts of his own. One little detail that always stuck out is that Scut Farkus sinister theme music is lifted right from Disney’s “Peter and the Wolf” cartoon. Seriously, watch that short and tell me it’s not the wolfs exact music score, and heck, even Scut Farkus introduction scene mirrors how the wolf was introduced in that short. I must admit, this is a hard film to do justice in a single review, because there are things to talk about in every seen, and countless individual highlights. There’s the decoder ring, the pink bunny costume, the soap punishment, and the kid getting dared to stick his tong to a flag pole (which is something I’ve always been curious about but never dared to try it myself). I’ll always remember that cranky mall Santa Clause. I was actually one of those kids who was terrified to go see Santa, so seeing that hilarious, wide-angle lens shot of him going “HO-ho-ho!” was simply the stuff of nightmares. 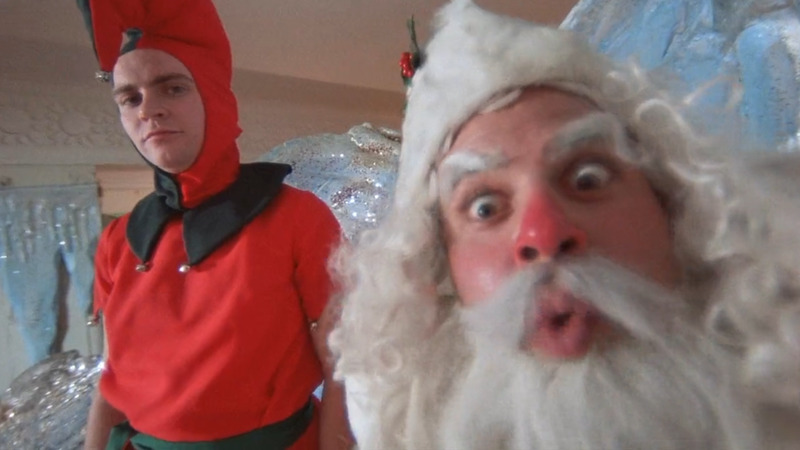 The whole scene with the mall Santa is just comedy gold, and the Santa himself might just be my favorite off-beat variation of the character I’ve ever seen. 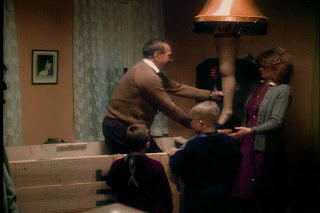 Then there’s that goofy leg lamp, and personally, if I could own any one prop from a film, I’d want that lamp. I’d gladly put that thing in my living room, and read by it while all lit up. However, the funniest scene for me has always been the part with the Chinese Turkey, (it’s actually a duck). That scene was so funny I was still laughing at it when the credits were rolling, and it still cracks me up to this day. Of course, there’s no shortage of quotable lines, like (Dad) “FRA-GI-LIE, it must be Italian?” (Mom responds) “No, I think that says Fragile”, and the always classic quote “You’ll Shoot Your Eye Out!”. I’ll admit, this film isn’t quite as funny as something along the lines of “National Lampoon’s Christmas Vacation”, but it has so much more going for it than just the comedy. Watching “A Christmas Story” from beginning to end is like reliving a dream, or a memory. Even though it takes place in the 1940’s, this is a childhood that a lot of people can identify with. Some may argue that this film represents child hood more than the actual holiday, but one of the biggest attributes of Christmas is memories, and that’s what this film is. Everything is told through narration from the point of view of Ralphie as an adult reflecting back on his youth and sharing with us his experiences during this cherished time of his life. This is the magic that I’ve never experienced in any other Christmas film, as it speaks to me as an adult, while also taking me back to that time when Christmas was a magical thing to experience with friends and family. It goes even further comparing who we were then, too who we are now, and who we will be in the future. Just like the narrator, I too plan to share my holiday experiences with my close family. 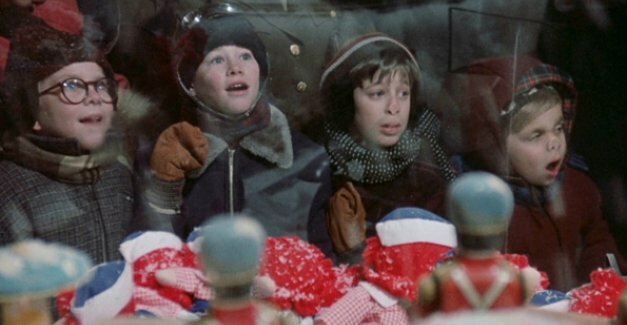 There’re also many genuine and subtle moments in this film that are just as memorable as all the comedy, like the kids pressing their faces against the window of a toy store, or Ralphie waking up to a beautiful snowy morning. 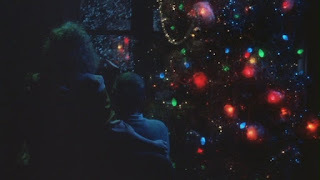 Perhaps my favorite little holiday moment of all is when the father and wife sit by the lit up Christmas tree, while watching the snow fall, and with soft Christmas music playing in the background. That to me is just Christmas is its most true form. That’s what makes this film such a timeless holiday gem for me, it’s both warmly nostalgic and darkly humorous, giving you a splendid blend of every wonderful feeling you could have while watching a Christmas movie. It’s for these reasons and more that I look at this movie as the greatest Christmas special of all time. While the amount of praise and marketing for this film may be a bit overboard, I still can’t say that I love any other holiday film more then this one. 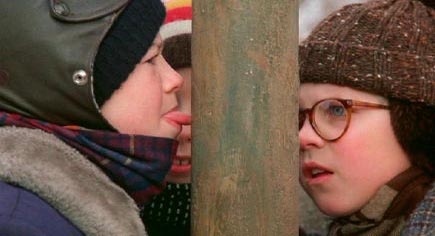 I give “A Christmas Story” a perfect 5 stars out of 5.